“A Spanish Type Home for Smith Reserve” (now the Piedmont Pines section of Montclair in Oakland) – Oakland Tribune December 15, 1929. 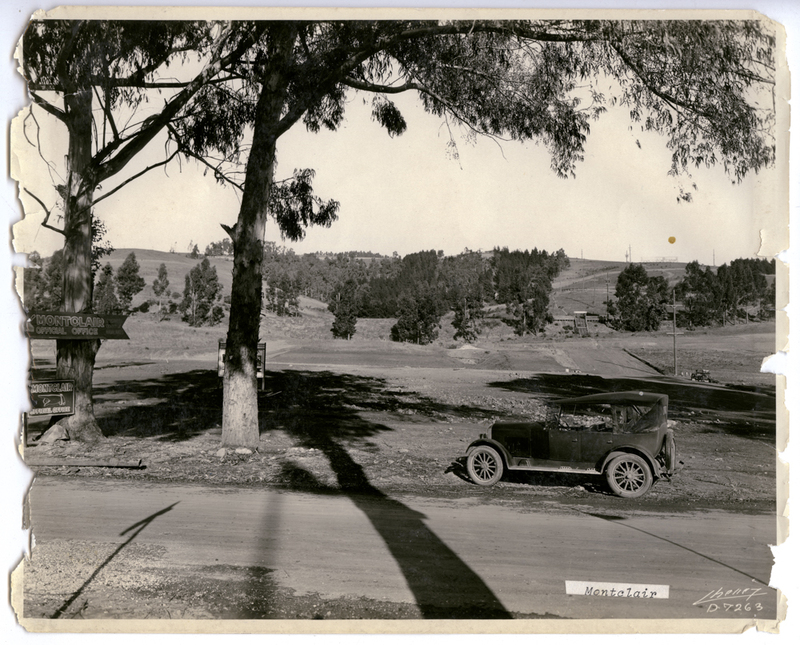 “The Casa Maria Luisa” the first of the “Daughter of Peralta” homes will be open an exhibition residence with imported furnishings in Smith Reserve shortly after January 1, 1930. Fully decorated by H.C. Capwell company and sold by the Realty Syndicate. Casa Maria Luisa when completely furnished will represent an investment of $50,000. The beams and ceilings were ceilings were stenciled by one of the noted Cathedral Artists, lighting fixtures from rare old-world patterns, overhanging balconies reminiscent of early Spanish-California with heavy doors. Oriental rugs of Spanish design were made to order. The house had numerous 1930’s state of the art features, including a Walker Electric Sink and a two-ventilator in the kitchen. Casa Maria Luisa occupies three wooded lots with a panoramic view. Surrounding the home with rare shrubs, plants and Monterey and Cypress Trees. Casa Maria Luisa opened to rave reviews claiming to be “the most beautiful and popular home ever shown in Oakland”. In 1931, The Oakland Tribune Yearbook named it one of the most beautiful homes of that year. In 1987 the home was bought by a couple from the original owner Cordelia Wanderforde, who had lived there some 50 years. They put a lot of money into repairing and updating the house.